The list was created based on alexa.com ranking. Alexa ranking is based on the amount of traffic recorded from the users that have the Alexa toolbar installed over a period of 3 months. Traffic is based on the parameters such as reach and page views. The data was gathered at the beginning of January 2016 and the ranking has changed since then so do not be surprised if your blog is not included there. 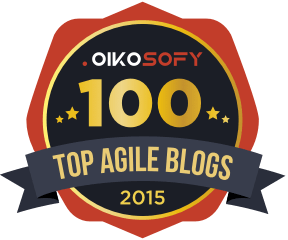 However, you´re welcome to write us at info@oikosofy.com if you think your blog should be included in the 100 top agile blogs in 2016. We hope you like this list and it´ll be beneficial for you to look up for the best agile related content.